When was the last time you had a craft fail? 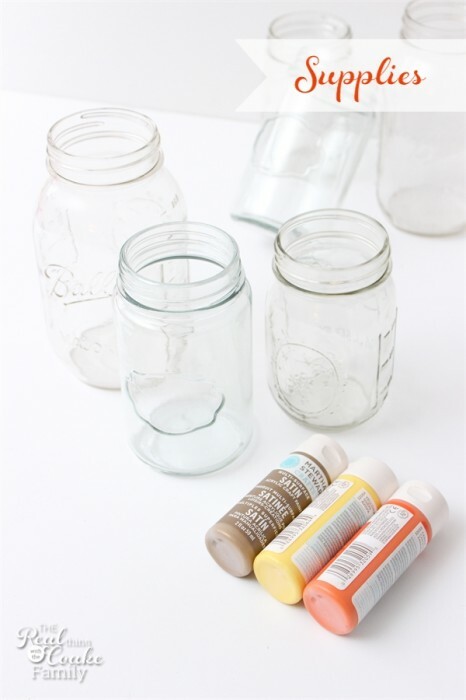 I love mason jar crafts and I haven't ever had one be a total craft fail…until these. I think I found a way to fix them so I can actually use them this year. 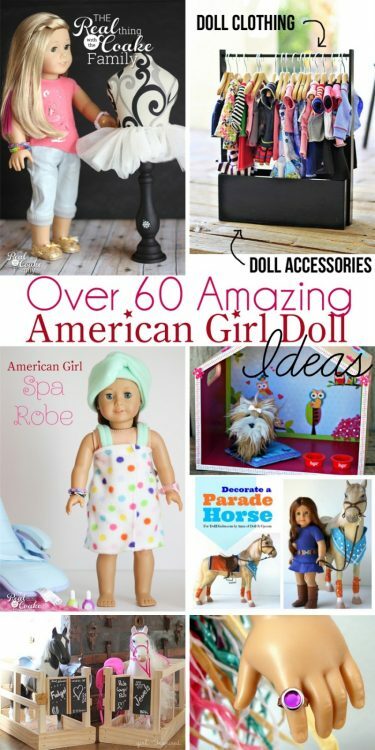 It all began when my oldest daughter had a long-term substitute at her school. Her first day with the sub was awful. So bad in fact that I talked to both the teacher and the principal about it. It turns out this was just a really bad day for that teacher. It also turns out that she became one of my daughter's favorite teachers. 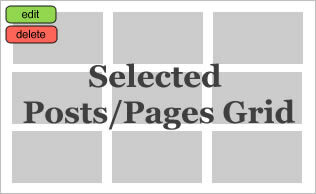 So, when her time as a long-term sub was over, we wanted to make a little something nice for her to say thank you. She loves her dog, so I was going to make a fall mason jar and fill it with dog treats. Then I was going to make other jars for the rest of her teachers and fill those with something different. Needless to say, for a 7th grader it is quite a few jars to make for quite a few teachers. 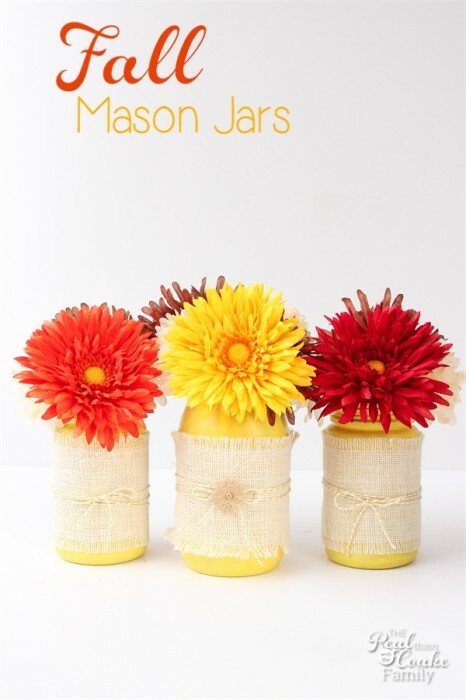 I started thinking I could make the mason jars fall with yellow, orange and brown paint. 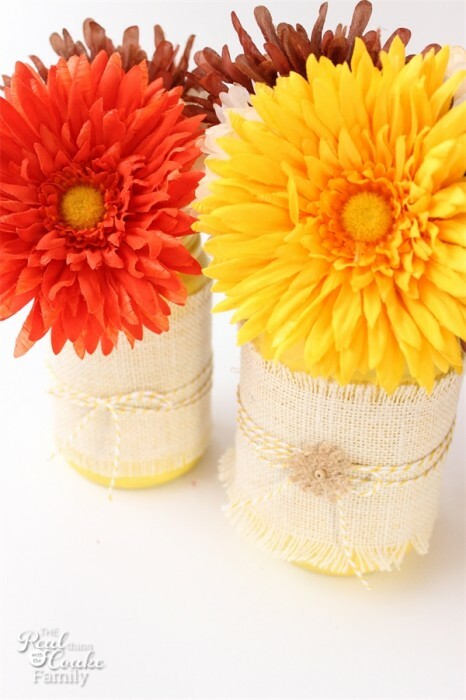 I originally thought I would make them somewhat like this mason jar gift idea. Oh boy…totally wrong. This is for the fixed craft not the craft fail. At first I started painting thinking I would make a base coat of brown. After one jar, I realized that the other colors probably wouldn't show up on the brown and I gave up on that idea. I switch to yellow for my base coat, only I thought it would look good to mix in a little brown. I don't have pictures of that…you can thank me later. 😉 I realized that was just as bad. 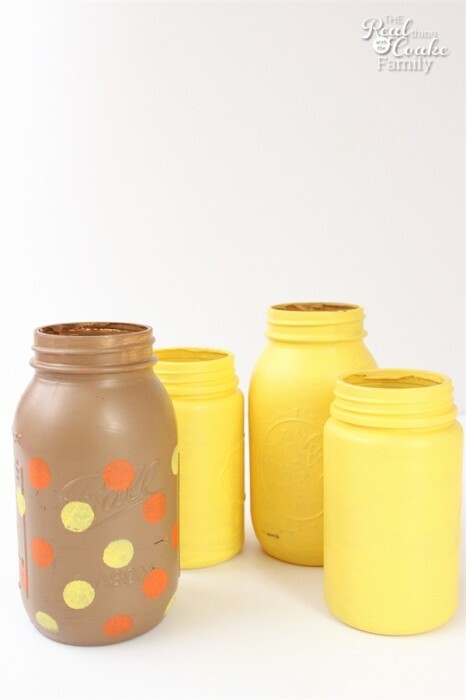 Next up I decided to coat the jars with only yellow paint and I tried the polka dots on the brown jar. They were OK, but not the direction wanted to go and not something I thought the teachers would want on their desk. I didn't want to repeat the polka dots with the yellow jars, but adding brown and orange stripes wasn't going to look good either. Along with all of that and the fact that the jars still had a slight brown tinged with the yellow despite three coats of paint (and that the inside of the jar, which is visible because it is glass, looked awful with the brown yellow mix)…I gave up. 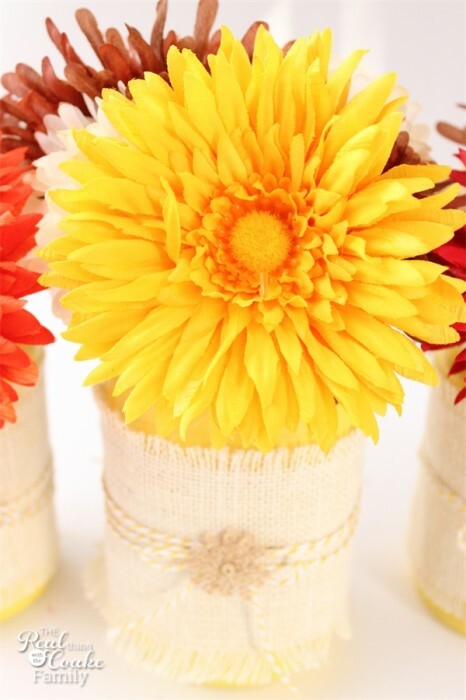 I just didn't feel like there was any way to rescue these jars and make them gift worthy. Some of the jars have now been turned into crafts that Pumpkin, my youngest daughter, made. Some have been recycled and a few were selected and given new life. I decided to try covering most of the jar up. I had this burlap leftover from my summer mantel (and some other craft I can't remember right now). I gave it a try on the jars. It covered most of the yellow up. I simply tied the burlap onto the jars with twine. I added a little burlap flower sticker to one jar. Next up I added some fall flowers. I have to use artificial flowers because our cat eats any other flowers. 🙁 Thankfully, I had procrastinated and was looking for these flowers a week after Halloween. They were on clearance and I snagged all of these for only $3.67!! Problem solved! 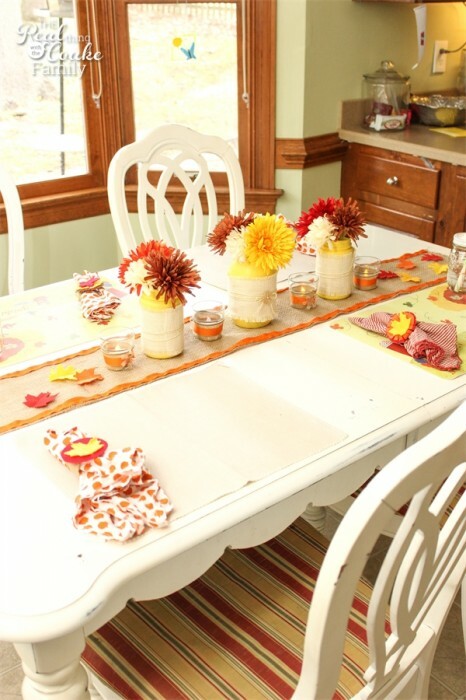 I now have three fall mason jars to place on my Thanksgiving table. When added to the table with my table runner, tea lights and napkin rings, I think it all comes together nicely. I still don't love the yellow jars, but it makes me feel a little better that they will at least get a little use rather than just thrown away. What do you think? Still a craft fail or did I fix it? I think you it is now a “craft win”! 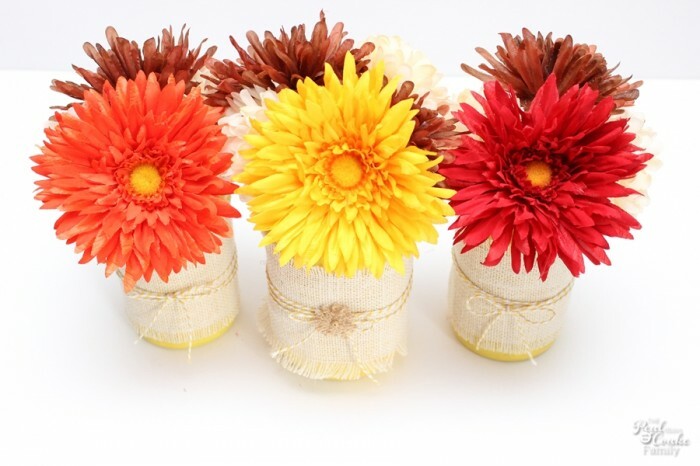 They are the perfect addition to your table! Hope you have a great weekend!